How does melting ice affect the volume of a drink? 3. Leave the two glasses for the ice to melt - will the water level go up, down or remain the same? The glass with only a few cubes in it should have remained at exactly the same water level. But the glass with the ice stack up will have overflowed. 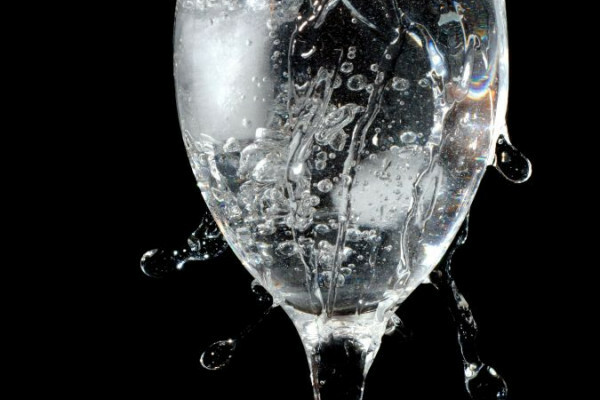 This is because the ice floating in the first glass has displaced exactly the same volume of water that it is made up of, so as it melts the overall volume shouldn't change. For the glass with more ice, the ice cubes are resting on each other as they reach the bottom of the glass rather than floating on the water, so this displacement is not taking place. Therefore as the ice melts the glass overflows. How do bumblebees cope with altitude? How can water become radioactive? Can reusing plastic bottles alter fertility? What is the most efficient way to heat water? I do not understand this concept. My science teacher explained that the water level lowers because ice is less dense than liquid water. However, while confirming this, all the sources are saying random stuff, such as the water rising, staying the same, and decreasing. Could someone confirm any of these and provide a valid explanation? It says clearly above, under the section marked "explanation": This is because the ice floating in the first glass has displaced exactly the same volume of water that it is made up of, so as it melts the overall volume shouldn't change." So now worries about global warming and melting polar ice caps to cause ocean levels to rise? Wouldn't the fact that solid water (ice) has a larger volume than liquid water by about 9% offset this - so when it melts it takes up less volume than when it was ice? I know it's Friday afternoon and the day's gone all fuzzy but I might try this experiment later in my beer. Have to repeat it of course for validity and reliability. As many times as I can. "Hiccup!" No. The water in the ice-cube weighs the same as the water it will ultimately turn into when it melts. As a result, when it's sitting in your drink, it's raising the water level in the glass, by pushing out of the way or displacing, the very same volume of water that it will turn upon melting. And if the fluid level in the glass is level with the brim of the glass with the ice in the drink, then the water level will not change once the ice melts, even if the ice itself is piled up above the rim of the glass.